Sharmeen Obaid has been a name associated with truth-telling, through credible and inspiring documentary films that have brought difficult truths to the fore. In her repertoire of work, Sharmeen has been involved in telling stories from communities that do not otherwise have a voice. 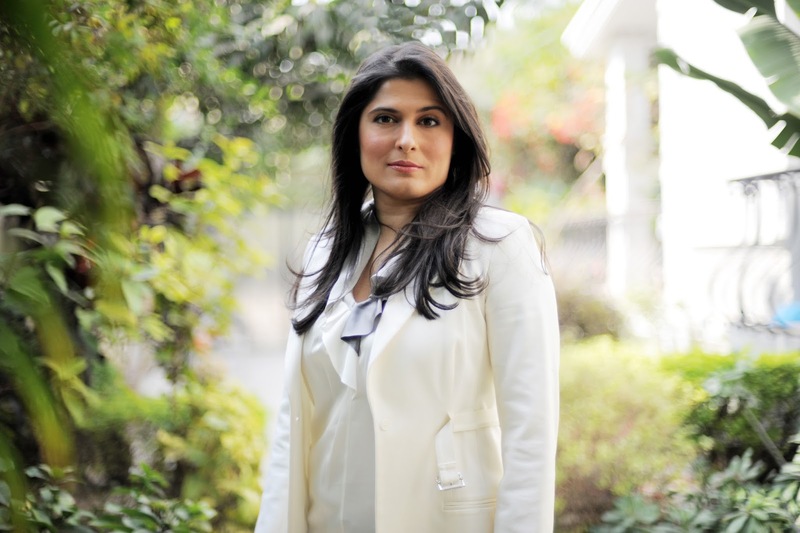 In an interview with The Red Elephant Foundation, Sharmeen shared a little on her journey so far. 1. Could you start by telling us a little about yourself? Your growing years, education and professional trajectory, perhaps? I grew up in Karachi and went on to do my undergraduate from Smith College and my masters from Stanford University. My interest in documentary filmmaking and narrative based story telling was sparked in 2011, when the tragic events of September 11th shifted the world’s focus to Afghanistan and Pakistan. I was a print journalist at the time and felt as though I was someone who could successfully understand both worlds; I thought that I could play a constructive role in relaying information from the East to the West. Shortly thereafter, I made my first film, ‘Terror’s Children’, which was about Afghan refugee children living in Karachi. That experience taught me that there is always more to the story than what makes it to the evening news, or what graces our headlines the next day, and that those stories are the ones that need to be explored in order for us to understand conflict as a social and real thing, rather than an abstract idea. This sentiment has guided my career as a filmmaker, and has established a theme of sorts; I go after stories that give a voice to those that are not usually given the opportunity to speak for themselves. Your first documentary project was Song of Lahore. What inspired that? ‘Song of Lahore’ was my first feature length documentary. I grew up listening to my grandfather's stories of our musical past. He would often talk about the orchestras that played at concerts and the musicians who played on Sunday evenings on street corners. By the time I grew up in the '80s, all of this was a thing of the past. I lived vicariously through his stories and often wondered what it would have felt to be part of his generation. In 2012, I came across the story of a group of musicians from Lahore who had come together against all odds to record music using Pakistan's traditional instruments, and I knew that was a story I wanted to tell. At that time, I had no idea what the group's journey would be; I just wanted to preserve their voices and their music. And what a journey it turned out to be. From Lahore to Jazz at Lincoln Center in New York, these musicians found their inner calling. As our cameras filmed them performing a sold-out concert with Wynton Marsalis, I thought back to my grandfather's stories of our past and knew that I had managed to experience some of those moments that night. You've made multiple award winning films in over 10 countries around the world. If you reflect on your journey so far, what would you say your most important and defining moments have been? Winning the Oscar was an indescribable moment in my career. It was the stuff that dreams are made of. It was a testament to my long-held belief that if you work hard and strive for excellence, the world will appreciate your product and your efforts will be recognized. The worldwide attention that it brought to the subject of Saving Face is even more of a reward; it solidified my drive. What have your biggest challenges been? How have you dealt with them? Starting out as a documentary filmmaker was a challenge. I had no training in filmmaking when I came up with an idea for my first film and tried to pitch it. I wrote about 80 film proposals, mailed them out and waited. I received so many rejections that I lost count. But was determined to make my film and with each ‘no’, I knew there would be a ‘yes’ somewhere – there had to be a door that I had not yet knocked upon. And there was. One day, an email I wrote came back with a positive response. As a documentary filmmaker, you are a storyteller who takes fact out into the world through an observer's lens. When you deal with difficult subjects, how do you retain your objectivity? While the aim of my documentaries is to facilitate change in the lives of those who are in the same circumstances as my subject, I ensure that I am a passive observer in the life of my subjects, and that I do not influence their decisions in any way and remain an objective observer. Using film as a medium I am able to capture my subject in their natural surroundings and this usually accounts for context. I always try to capture adequate background information about my subjects as well as their environment so as to provide an accurate and all-encompassing picture. What has your toughest project so far been? 3 Bahadur was the project closest to my heart that was quite tough to make since we have never worked on an animated feature film before. It took me out of my comfort zone and was an uphill climb - putting together a team, learning how animation works from the initial sketch to the final shot, and diving into a medium that is both expensive and time consuming. But we found our pace a few months into the project and what surprised me was the ease with which we found exceptional illustrators, writers, animators and visual effect artists. You've been the voice of those that are otherwise not heard. How does that feel? I feel extremely honored to be able to provide the silenced with a voice and make their stories heard by others throughout the world. What goes into making your creative process what it is? How do you identify your topics of choice and how do you put the documentary together? As an investigative journalist, I feel that it is my duty to address issues that people do not want to discuss. I’ve always been interested in topics about human rights and women’s issues that many people find controversial. I choose to film subjects that spark difficult conversations and make people uncomfortable. Change only comes about when people are forced to discuss an issue, and that’s what I hope my films do by highlighting the issue. Inspired? Read more about Sharmeen's work here.